The YAM Capital team has more than 100 years of collective experience in real estate investments, finance and development. Our core principles — integrity, accountability, transparency and teamwork — are the foundation for all of our client interactions. 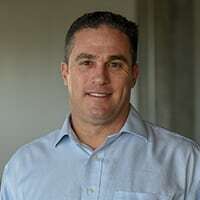 Mike Marmis joined YAM Capital as its managing director in 2012. Mr. Marmis has an extensive commercial real estate finance and real estate development background, having worked on both the debt and equity side of hundreds of millions of dollars in real estate transactions. 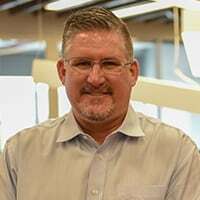 He began his commercial real estate lending career with Bank of America’s CMBS lending group in 1999, and worked for several other large institutions, both on the commercial lending and private wealth management side. Mr. Marmis also served as the chief operating officer of a Phoenix-based real estate development company. Mr. Marmis received his Juris Doctor and MBA from the University of Arizona and is a member of the State Bar of Arizona. He also received a bachelor’s degree from the University of California, Santa Barbara. Mr. Marmis sits on the board of the Arizona Make-A-Wish Foundation and is a member of the Men’s Art Council at the Phoenix Art Museum. Gene Kim is a director of Private Lending and is responsible for business development and loan originations at YAM Capital. Mr. Kim has been in the commercial real estate industry since 1998, most recently in mortgage banking, and was responsible for originating debt and equity investments as well as underwriting and financial analysis of all commercial property types. Mr. Kim has high technical proficiency and specializes in structuring complex transactions and portfolios. Prior to joining YAM, Mr. Kim was a vice president at Berkadia Commercial Mortgage and was a founder and principal of Keystone Commercial Capital. 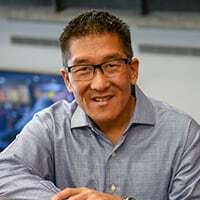 Before Keystone, Mr. Kim was an analyst and mortgage banker at Capmark Finance, formerly known as GMAC Commercial Mortgage, and was part of the original team to open Transwestern Commercial Services’ Phoenix office. 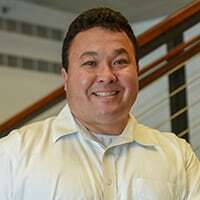 Mr. Kim earned a bachelor’s degree in business administration and psychology from the University of Massachusetts at Amherst and a MBA from the WP Carey School of Business at Arizona State University. Troy Batt joined YAM Capital in 2015, and specializes in business development, client acquisition, client relations, management and marketing. He has 25 years of experience in the resort and hospitality industry with a focus on independently owned or managed resort properties. Most recently, Mr. Batt was the general manager of Scottsdale National Golf Club. He has also worked in management positions at some of Arizona’s most upscale, luxury resorts. Mr. Batt graduated from Arizona State University. Ryan Muranaka joined YAM Capital in 2018. As Director of Business Development, Mr. Muranaka is responsible for the origination, underwriting and servicing of commercial mortgage loans for YAM Capital. Prior to joining YAM Capital, Mr. Muranaka served as Senior Vice President and Director of Underwriting and Asset Management at IMH Financial Corporation where he assisted with the underwriting and funding of more than a billion dollars’ worth of commercial real estate. 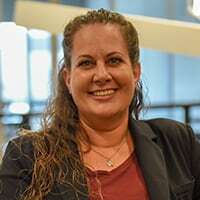 Shari Stults joined YAM Capital in 2017 as Senior Underwriter, primarily responsible for evaluating commercial real estate analytics, research, financial modeling and business development. Ms. Stults brings more than 25 years of industry experience to the team, as both a seasoned loan originator/commercial mortgage banker and Senior Underwriter. Most recently, Ms. Stults was a Vice President and Commercial Mortgage Banker for NorthMarq Capital, where she originated debt and equity on all types of commercial real estate on behalf of agencies (Freddie, Fannie, HUD), private lending sources, banks and institutional life insurance companies. Previous experience also includes work in the development arena as a project manager for commercial real estate joint venture opportunities. 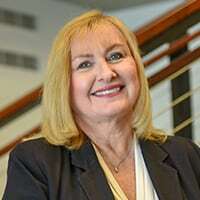 Ms. Stults has been on the board of AZCREW and is a member of Mortgage Bankers Association, NAIOP, ACMLA and various other professional organizations. Irish Rogers joined Yam Capital in 2017 as a Portfolio Manager. Ms. Rogers has more than 18 years of experience in the financial services industry, most recently serving as Senior Commercial Underwriter for a Scottsdale based commercial real estate mortgage brokerage firm. In her role at YAM Capital, Ms. Rogers will be responsible for portfolio and risk management, conducting financial evaluations and assisting with the due diligence process for commercial real estate loans. Previous experience includes serving as Business Banking Officer Vice President at BBVA Compass and various executive-level positions within JPMorgan Chase. Milton Barnes joined YAM Capital in 2017. As Underwriter, Mr. Barnes is responsible for evaluating commercial real estate analytics, market research and financial modeling. Prior to joining YAM Capital, Mr. Barnes served as a Commercial Real Estate Broker at SVN and as Pricing Analyst at Progress Residential. 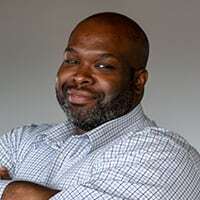 Mr. Barnes received his Bachelor’s Degree in Real Estate Finance from Portland State University and his Master’s in Business Administration from University of Portland.